Today, my mom gave me a wonderful challenge. She spotted it before I did, and I'm glad that she did! 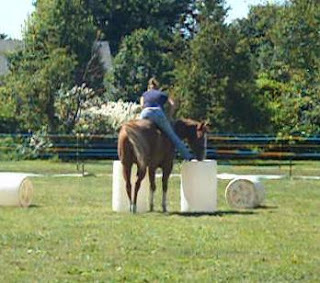 "The Circling Game is really fun because your horse has to be responsible! 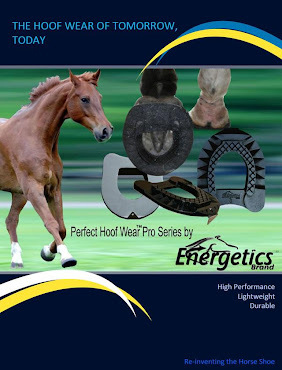 In playing this game, your horse learns to stay in one gait and go in one direction—without clucking at him or snapping a lunge whip behind him. In fact, you don’t move at all even though your horse is going around you! It’s important to know that this isn’t sending your horse round and round in circles (like lungeing) which can become boring for you and the horse! And it’s not about exercising, either. So why do we play this game? 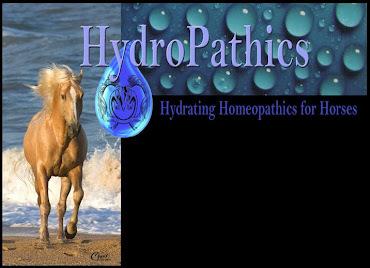 Have you ever wished your horse would maintain a gait without constantly squeezing your legs to keep him going? This will help!" Well, we didn't do it that way, I was still moving. But it's the same concept. "Go out there are run around!" So mom said, do no circling game! And I was ever so glad that she did! I have found myself going, "Well, now what?" At liberty. When we play, I run out of things to do, so just go circle! Wrong! There are things that I want to get better at in me and Eddie's relationship. Number 1 is our riding. And number 2 is being able to do things together with him wanting to do those things and going into a deeper level of softness. Here's what Eddie and I did, without any running around! First we did some advanced sidepasses. We did it at a fast walk and at a trot. That was really fun! He thought it was pretty cool too! Then we did some chase me game and we had fun running around. To top it off, he almost laid down with my cue. We're so close!! :-) All in good time though. :) But it gets even better! I had him wait at one end of an arena, then I 'connected' with him and he came cantering over to me!!!!!!!!!!!!!!! Yippeee!!!!!!!!!!!!!!! And all I did was think it - he did it! Woohoo!! Peelin' back another layer of softness and connection!!!!! A Super Fun Day with Friends! Today was a very fun, very exciting day! Rebecca (here's her blog) came out and played with the horses with me! We had a really fun time, and played for probably 3 hours or more! 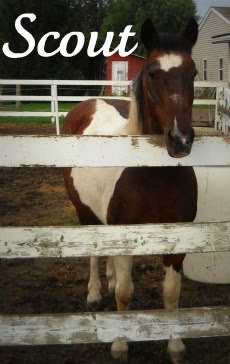 Then Scout got a little crazy, and before we knew it, all three of them were galloping around the outdoor! lol! But we got them separated and all was fine. hehehe, why is it every time that we're supposed to have a super play day, the horses are crazy?! lol! But they were really fine... 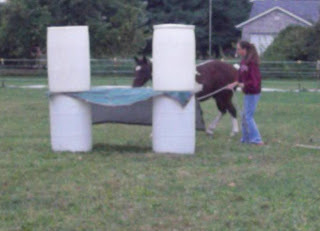 They all calmed down when we took them out to the pasture - WITH LINES - and set up a horse agility course! "A friend loves at all times,"
Well, fall is here, and you know what that means! Winter is on the way!! Snow! Christmas! Riding through the snow drifts and sweaters! ;-) hehe, I love winter! So, lately Eddie and I have been doing some preparations for driving. We're dragging a lot of things, and I made a pretty cool harness, that has a quick release in case something goes wrong. Eddie has been doing really well with dragging things. We did the cone yesterday, and today we did it at the trot, out in the pasture. He did really well and I think he got pretty into it! We played with that for a little bit, then we rode for a nice long time! He's been doing so well, and we've been having a lot of fun. We're not so worried about progress now. Just enjoyment! :-) And he really likes that. Here are some pictures from the last couple of days! Hope that you all had a great week! It's my 500th. blog post!!! I have been writing on my blog for 2 years and 363 days and have averaged 19 posts per month. It's been an incredible 3 years! Things have changed so much, but then again stayed the same in a cool kind of way. Anyways, on to what we did today! 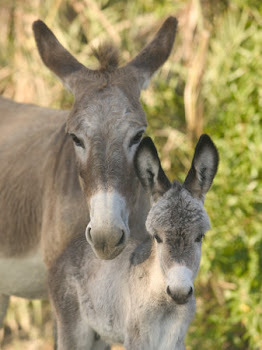 Eddie and I had a lovely play session out in the pasture! We did some fast paced-run around sort of things and he had a blast! See... he seems really sleepy on the outside, but he really does have a TON of energy on the inside. So it's just a matter of getting it out and playing with it. Which we did, and he had a blast! 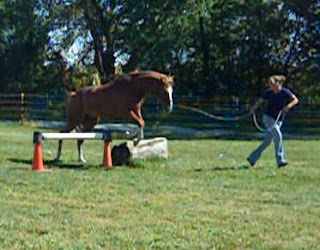 Then we did some long reins, jumped over a bunch of things, played with our sidepass at the trot and ended there. He was offering a lot, and I appreciated that. So we went into the outdoor after that and I got on. He was very spunky, but we had a good time! We walked around, and just goofed around. :-) We stood on the pedestal, and chased Scout, so he was enjoying himself! lol! We ended a really good, sweet note and then went back inside. Pure joy is the only thing that I can relate to our play session today! 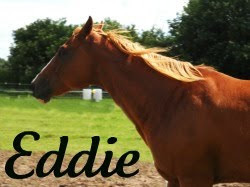 I headed out to the barn, barefooted, jeans rolled up and ready for whatever Eddie had in store for me. Feeling inspired by a bit of horsemanship by Mark Rashid and a lovely story from Angel Horses, I was ready to play! And I think Eddie was too! I went running out to the pasture, and he came running to meet me. He was at the other end of the pasture, and at first he came walking.... then he came cantering to meet me. Of course I had a little treat for him - he loves treats! Then we started with some small things without anything. No sticks, no ropes, not a thing. All I had to do was picture him bringing his head up, and he did, then we would be off. We jumped over a few things, walked around, went to different objects... just... together! Then we started a fun activity. I had barrels in a circle, and a few had a treat on them. Eddie's job was to find them, as I walked with him a little bit in the middle. So he went around a few times, as I refilled the barrels. By the time we did that a few times, he was walking purposefully around the circle, checking each barrel for a snack! It was really fun, and then of course, the last one came from me. So he was really intrigued and happy to play! To end things on a perfectly awesome note, we did a 'victory lap' together, soaring over jumps, cantering around, and ended up on the pedestal. It was a wonderful play time! And hopefully tomorrow, we'll be able to ride. I think he was a little bit sleepy today. ;-) But maybe we'll even ride tonight, who knows! It was just a lot of fun! Having watched that... You can guess what we did today! Allison and I set up an agillity course for the horses! Although it was far from what was on the video... hehe! A fake 'pond' aka a tarp with water over it. oh yeah! A trailer simulator! So we played with all those things, and the horses had a lot of fun! Haha! He hardly fit beneath my legs! lol! Then I tried to get on from Eddie's neck! Now, considering he is not as strong (i'm probably underestimating him...) as the horse that was in the video, and I'm not as light as the little girl in the video, but considering that, we did pretty good! He brought me off of the ground twice, and I just wasn't up far enough, so I slid off. We quit after a few tries, because I didn't want him to hurt his neck, but maybe we'll try it again soon! It was really fun, and really easy to get on! Check out that girl's other videos. They are really something, and something that I definitely want to try someday. Maybe on a clydsdale or something... lol! 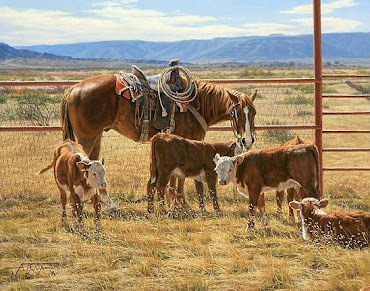 We all went out to the pasture and played together out there. Eddie and I mostly played with our connection, draw, harmony and sidepasses at the trot. He did SO excellent! We cantered together, in harmony, and then we just.... were together. We were on the same page, and he was so willing. I just love that horse! Here is a video. We had so much fun! We played with some long reins at the end, and trotted and cantered together while I was driving him. It was an amazing play session! Oh dear, it looks like I have lost track of the time and gotten behind on my posts! Oh dear! So this blog post is for September 8th. Eddie and I had a lovely play time in the round pen! We played at liberty and just played with our connection. He did splendid and was so focused and connected! We truely had a wonderful time just playing. Horse play! His favorite kind! Then I groomed him, and we played with some tying. He hasn't been tied for a LONG time, so I just looped the rope over the 'hitching post' and did a quick release knot. He didn't like it too much, but he stood very well! So I rewarded him a LOT for standing and being so good. Oh yeah! I also trimmed his front feet. Which he was excellent for. But then again, what isn't he excellent for?! hehe!! After that we rode in the pasture for a little bit. Nothing too much, just enough to have fun! Then we let Eddie and Scout go together in the pasture and they ran around a lot. Lots and lots of fun for our silly ponies! If you have ever played with two horses at the same time, you know it can probably be a challenge. Now, if you add another horse to the mix, take all their halters off, and play in a medium-sized arena, then that adds up to a lot to think about! That's exactly what I did with our herd today! First Scout came by the gate, so I let him in and played with him a little bit. Then I let Diesel in, and Scout went out. So I played with Diesel alone. Then I let Diesel out, and Scout and Eddie came in! lol! Confusing? I know! We just did some small things, lots of draw, lots of run with me, sidepasses, circles and lots more! Maybe we'll be able to play together more, it was a lot of fun to play with all of them. I like to challenge myself! It was a beautiful day outside today!!!!! That's a pic of him rolling yesterday, in motion! hehe! Scout came in after us, and then my sister and I sent them around the outdoor to burn off some steam. They had a ball running around together! Then we both drew them in to us, which was really neat! So we played at liberty for about another 5 minutes or so, then we both got on! Eddie and I played with our backups, and then we trotted around for a little bit! It was really fun, and it was nice to get back into the swing of things, with our riding! We also did some sidepasses and more pedestal play! It was a wonderful day and a wonderful ride! The last couple of days have been really fun! So yesterday and today Eddie and I played with our long reins. We did lots of point to point, jumped over a lot of things, and played with our direction-going. Softness has also been one huge thing we've been working with. 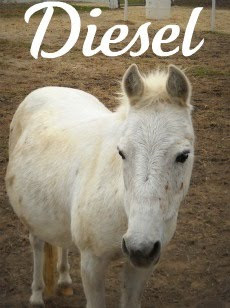 Softness comes from the inside of the horse, not the outside. Lightness comes from the outside. It has taken a while to get to where our softness is right now. 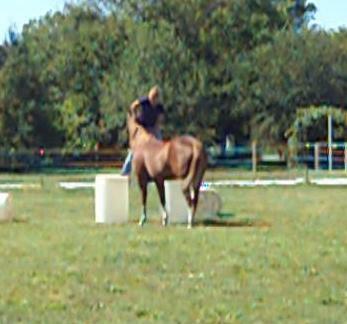 He is almost always willing to play, as long as I give him some time to wake up, ;-) and we can ride every day. It's just a matter of me getting both of us prepared for it. Anyway, we did some more long reins, then we played with some sidepasses at the trot. He did SO well! We didn't get it all the way, but we were pretty darn close! So we had a lot of fun with that! Well the KC La Pierre Course ended on Wednesday, and I am SO happy to be home! Don't get me wrong, I enjoyed every minute of it, and I learned a lot, but there truly is no place like home!